Flip a coin. 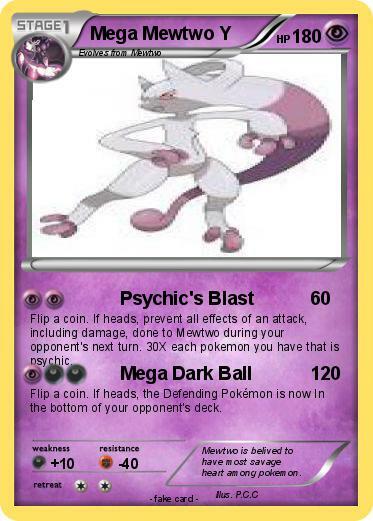 If heads, prevent all effects of an attack, including damage, done to Mewtwo during your opponent's next turn. 30X each pokemon you have that is psychic. Flip a coin. If heads, the Defending Pokémon is now In the bottom of your opponent's deck. Comments : Mewtwo is belived to have most savage heart among pokemon.